Is there anything more majestic than a whale swimming wild and free? 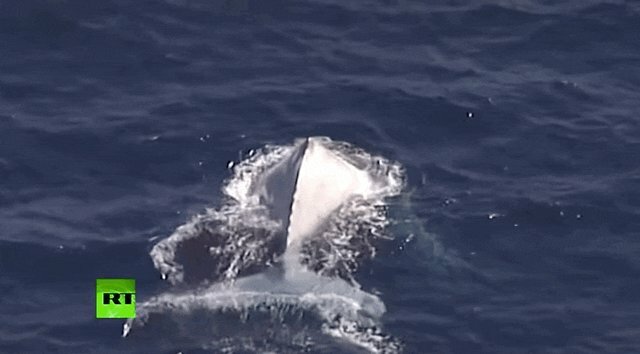 A lucky nature lover spotted something incredible off the coast of New South Wales, Australia, this weekend - a rare white humpback whale swimming by on his way north. The next day, news crews deployed boats and helicopters, hoping to get a glimpse of the rare and beautiful animal. They totally lucked out. 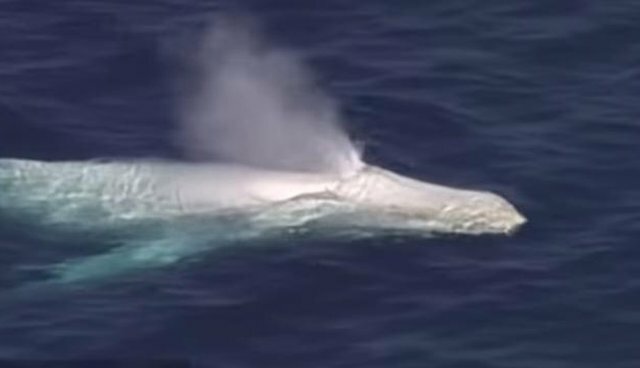 Experts say that this whale isn't the famous Migaloo, who is probably the world's most well-known white whale. The one spotted this weekend is too small and too white, CBCNews reports. But just because this guy isn't Migaloo doesn't mean he's not special. White humpback whales are one of the rarest animals on Earth - only four albino humpback whales have EVER been discovered. 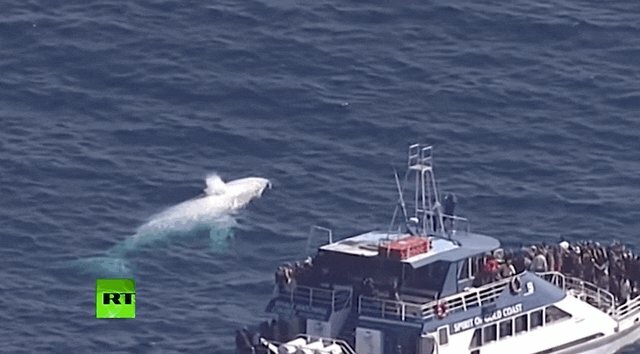 It's possible this whale is one of Migaloo's offspring. But whoever he is, let's hope he lives a long and happy life in the wild. We could be spotting him for years to come.